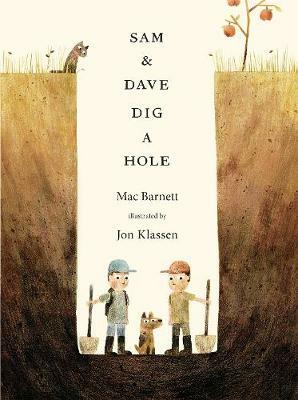 With perfect pacing, the multi-award-winning, best-selling team of Mac Barnett and Jon Klassen dig down for a deadpan tale full of visual humour. From the award-winning team behind Extra Yarn, and illustrated by Jon Klassen, the Kate Greenaway-winning creator of This is Not My Hat and and I Want My Hat Back, comes a perfectly paced, deadpan tale full of visual humour. Sam and Dave are on a mission. A mission to find something spectacular. So they dig a hole. And they keep digging. And they find ... nothing. Yet the day turns out to be pretty spectacular after all. Attentive readers will be rewarded with a rare treasure in this witty story of looking for the extraordinary - and finding it in a manner they'd never expect.